baking and barre in LA | a blog about two competing obsessions: barre classes and baking various decadent treats… with occasional musings about digital media, pop culture and other lifestyle miscellany. My holiday baking this year consisted of gingersnaps (my first time!) and blondies. I used the Cooks Illustrated recipe from my first post on this very blog and due to time and ingredient constraints, I cut some corners. Turns out cutting corners paid off, big time! The simplified version of this recipe made for a focused baked treat… you’re really able to taste the caramel-y flavor and enjoy the buttery texture without the add-ins. Adjust oven rack to the middle and heat oven to 350 degrees. Whisk melted butter and brown sugar together in medium to large bowl until combined. Add eggs and vanilla and mix well. Using rubber spatula, fold dry ingredients into egg mixture until just combined; do not overmix. Pour batter into greased 8×8 or 9×9 pan, smoothing top with rubber spatula. Bake until top is a light golden brown and edges start to brown, 22 to 25 minutes. Do not overbake. Cool on wire rack to room temperature. This is a very forgiving recipe: You can cut the sugar, include a little more or less of the butter and vanilla, and it should still turn out. I dare you not to love the results. If you’ve tried this recipe or another blondie recipe, let me know in the comments! Not that I need another book to add to my pile, but this sounds intriguing. Coming out of hiding briefly to post this. Because it is too awesome not to post. Do I relate to pretty much all 32 of these? Yes, I do. Are they hysterical? Yes, they are. And when I say late, I mean like 8 months late. 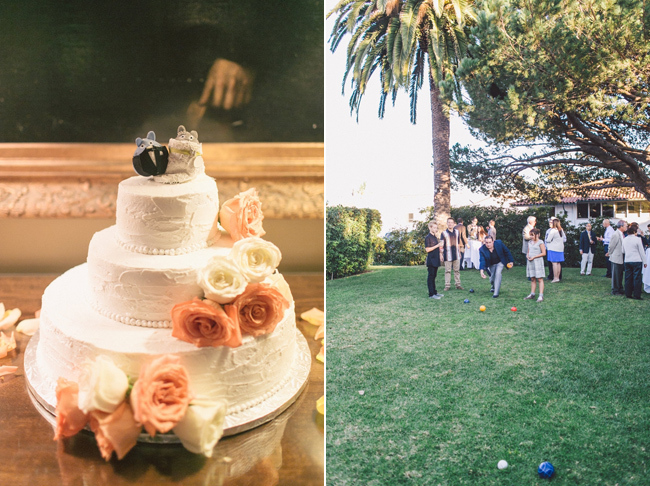 It turns out my wedding was featured on Love & Lavender — a daily wedding blog featuring rustic, vintage, whimsical, and outdoor weddings. So totally my speed. We are coming up on our 1-year anniversary so these bring back all those memories from last year (I choose to remember just the happy ones. Haha). Thanks to the lovely Emily, my amazing photographer of Anna Delores Photography, and L&L’s editor-in-chief, Meredith! I *heart* this so much. So much. A must-read if you love spinning: This list of indoor cyclist types. So true and so hilarious. I love these “What type are you?” posts on RateYourBurn. Oh yes, and happy new year, everyone! To celebrate getting my new kicks, I thought it’d be fun to compile a list of my favorite spinning songs from this year. Spinning instructors out there, please weigh in on the type of drills these songs would be suited for. I could definitely be wrong! [REVISED 12/31] And I just realized I was short one song for the 10. Oops! See that missing 10th song at the end of the list. Avicii. Does this put you in the NYE spirit? Happy Boxing Day, everyone! It’s insane to me that Christmas has come and gone. Similar to my thoughts on blondies, I’d never met a pecan pie that wasn’t much too sweet. And yet pecan pie is so tasty, I could never resist having a piece when it’s available. 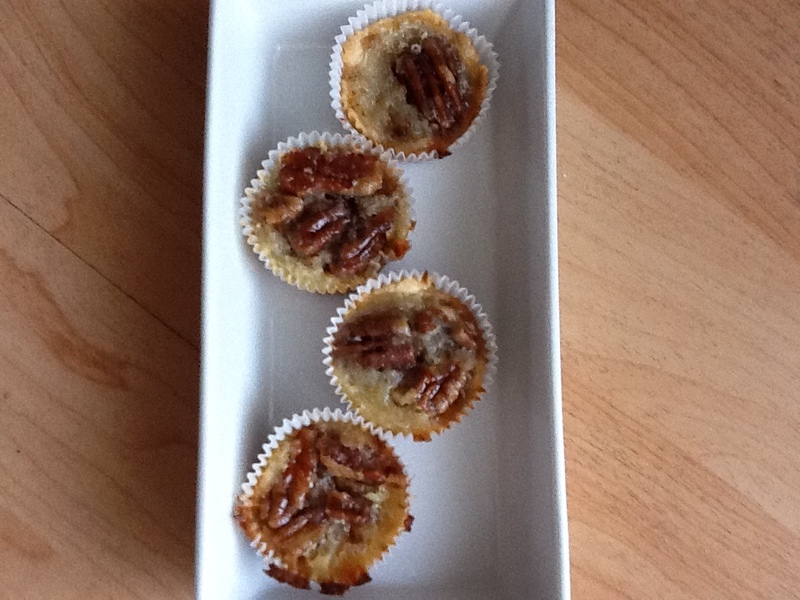 When Thanksgiving rolled around, I went on the hunt for a less-sweet pecan pie recipe. I found P. Allen Smith’s recipe, courtesy of this funny blog post. Candied pecans? Buttermilk? I’m in. The recipe is really very simple. The buttermilk pie filling is a one-bowl recipe with no mixer needed. 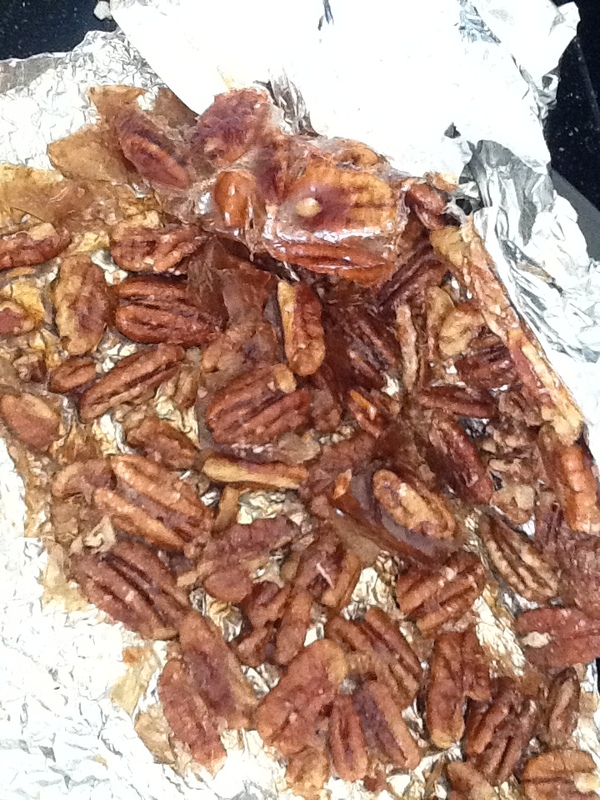 And the candied pecans are easy to make as well. 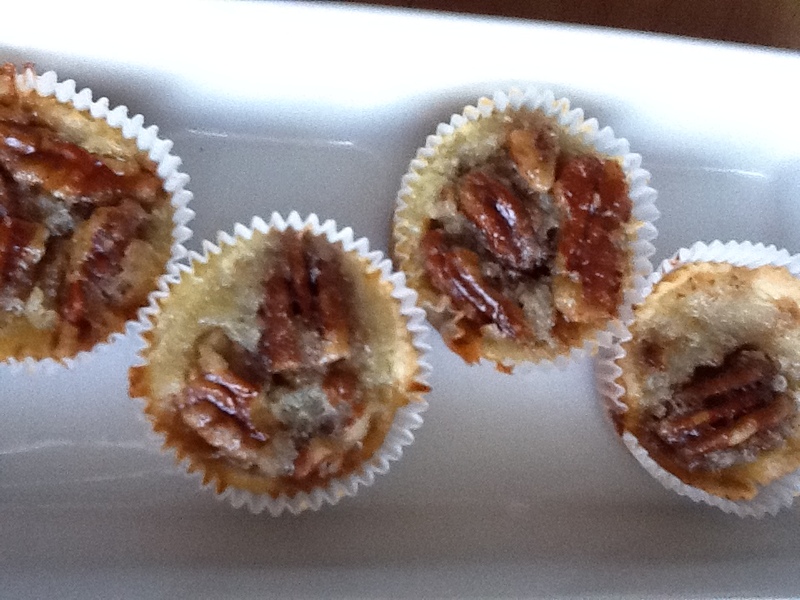 I cut the sugar in the pie filling by 1/4 cup and cut a little of the sugar from the pecan topping. For Thanksgiving, I made these into mini tarts. They make a great hors d’oeurvre or dessert finger food. I made the full-size pie version for Christmas. The candied pecans are a good foil for the tang of the buttermilk pie filling. Rave reviews! I do prefer the tartelette version since they’re simpler to transport and eat. But of course there’s more labor involved. …is the bus stop scene. How great is the reveal of Totoro (from Satsuki’s perspective)? In rewatching the movie (it looks great in HD, by the way), I was reminded of why I love this movie so much. Love how serene it is. Love that it’s fantastical yet still grounded. Love that the movie on the whole has a very light touch, so that the emotional moments have real impact. It was also a great decision on Miyazaki’s part to make Totoro (and the mini-Totoros) non-speaking. And we all know a little kid who reminds us of Mei, right? A great quote from David Mitchell’s The Thousand Autumns of Jacob de Zoet, as well as some brief commentary. NY Times calls the book his “most conventional but most emotionally engaging novel yet.” Sounds like a must-read!